White always symbolizes purity. 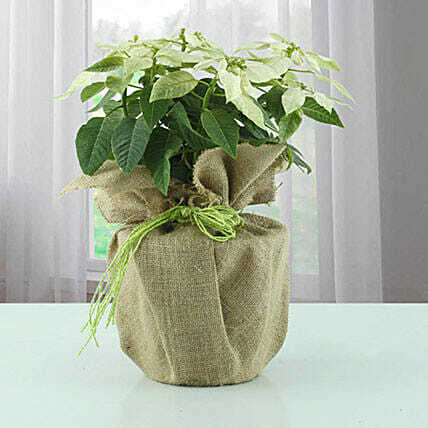 Gift this beautiful arrangement of the star-shaped White Poinsettia plant to your loved ones, as this only takes the Christmas decoration to a new height. Order from Ferns N Petals. Since plants are perishable in nature, attempt for delivery would be done only once. Please water the plant as required. Avoid placing plants in trouble spots, such as near heat or air conditioning ducts.